One of the things I like to do while spending time outside is searching for clues that make the past come alive. Decommissioned fire lookouts, decrepit old cabins, barns that are about to topple over, ghost towns, or long forgotten industrial machinery all offer a glimpse into what life was like years ago. One of my personal favourites are the First Nation rock art sites that are scattered across the province. Rock art can fall into two different categories, pictographs, where the picture is painted onto a rock face, or petroglyphs, where the artist carved the picture directly into the rock. 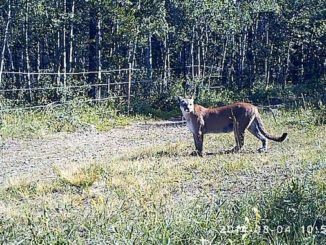 Both types can be found in southern Alberta and many of them are easily accessible for you to enjoy. 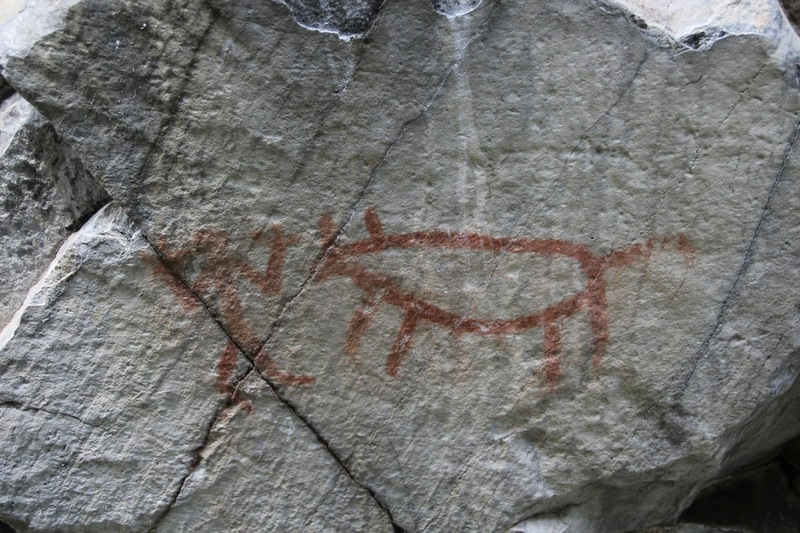 Pictographs are typically created by mixing red ochre, a natural iron-based mineral, with animal fat to create a type of paint that can then be spread across the face of a rock. If the rock face is left undisturbed and is relatively protected from the elements, the resulting artwork can remain visible for hundreds of years or more. 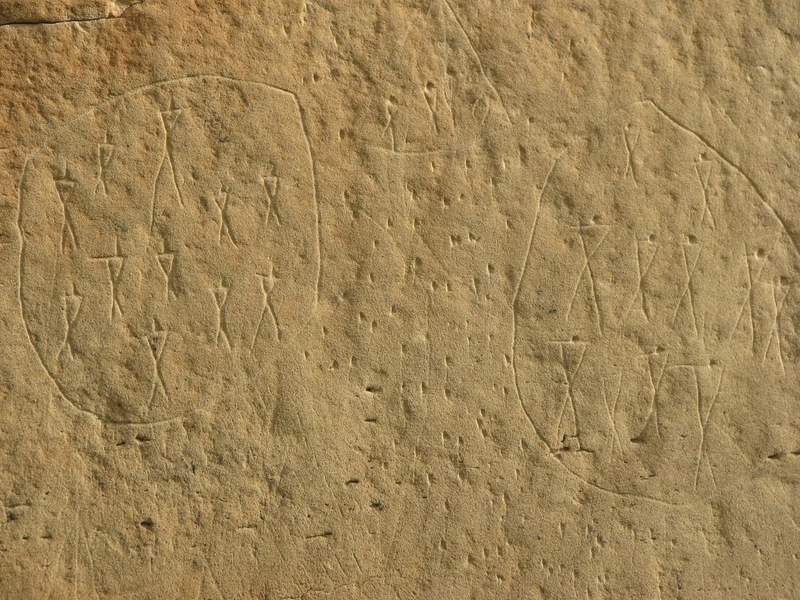 Petroglyphs, on the other hand, are created by removing different parts of the rock’s surface using a variety of techniques and tools. 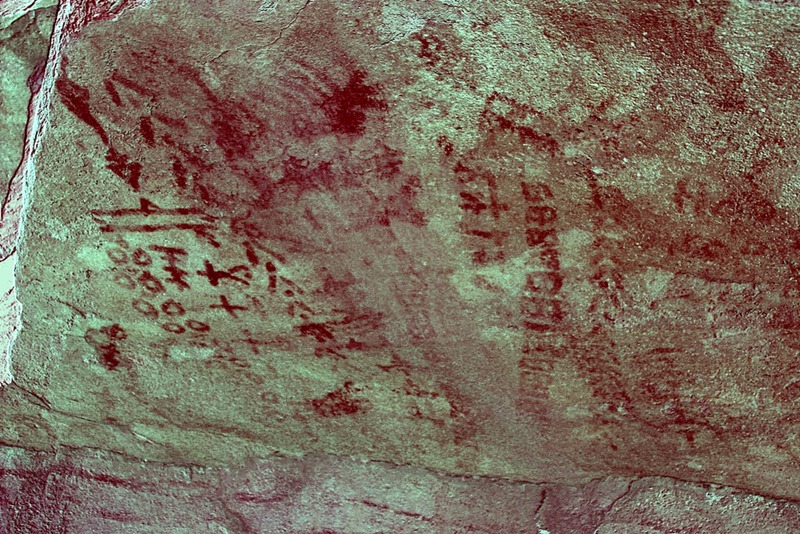 Like pictographs, petroglyphs can last for centuries. The first pictograph I can remember seeing was along the Adams River in Roderick Haig-Brown Provincial Park, British Columbia. I was rafting down the river when the guide pulled the boat over to the edge and pointed out the smeared image of an animal located on a cliff. 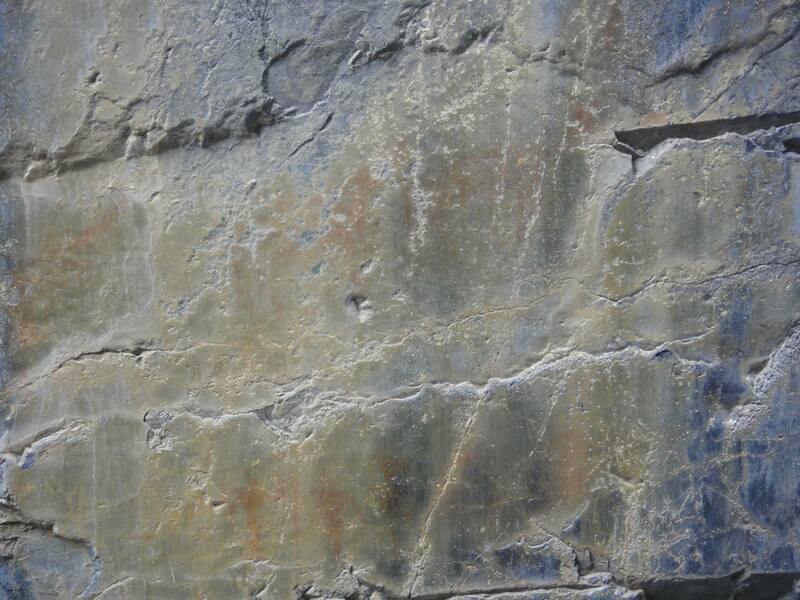 There were other red blotches on the cliff walls, but they were indiscernible because of vandalism in the park. When touched, the natural oils on our skin can ruin the pictograph and the artwork will be lost to time. After seeing that first small painting I was hooked and was determined to hunt down as many rock art sites as I could. Due to the destruction and slow deterioration of rock art sites, archaeologists with Parks Canada have been tirelessly working with various Aboriginal communities to preserve, protect, and interpret these important cultural sites. One of the project’s stated goals is to protect the sites using digital photography. The biggest challenge with this, however, is that many sites are disappearing due to time, weather, vandalism, or some combination thereof. With the help of a digital enhancement technique known as decorrelation stretch, or DStretch, archaeologists are able to enhance images for better interpretation and understanding. DStretch is a free plugin for ImageJ software that was created by Jon Harman. 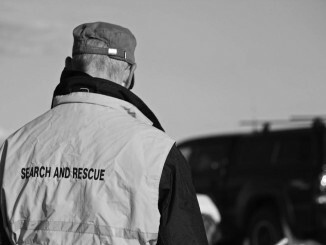 Both DStretch and ImageJ are available for free download by visiting the previous links. 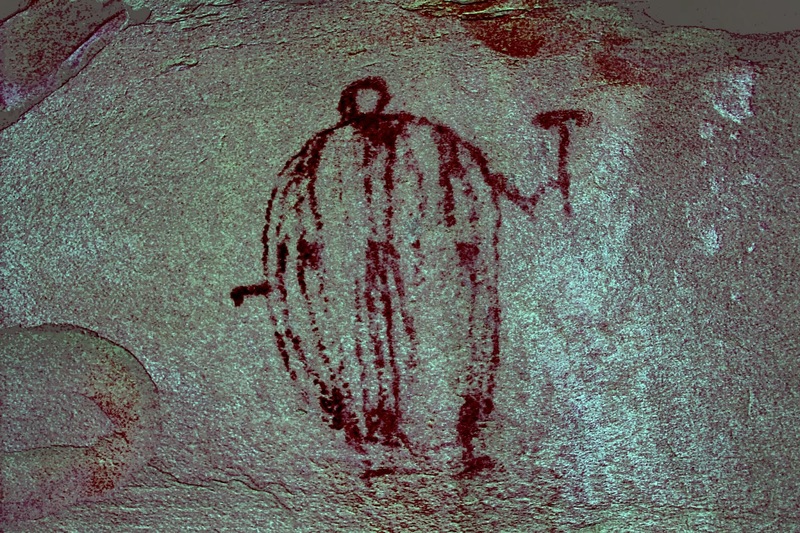 The most popular rock art site Alberta is likely Writing-on-Stone Provincial Park, located along the Milk River in the southeast corner of the province. The Milk River Valley contains the largest collection of pictographs and petroglyphs on the great plains of North America. There is archaeological evidence that proves the valley was inhabited as far back as 9,000 years ago and it is believed that the Blackfoot People created much of the artwork located there. Most of the artwork in the park is only accessible by a guided tour given by a Park Interpreter. This ensures the protection of these sacred sites, but also allows visitors to learn more about the people who created them. 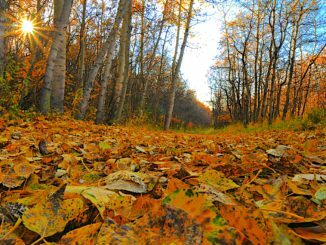 Closer to Calgary are two more sites that are easily accessible after a short hike. Grotto Canyon, located in Bow Valley Provincial Park, is an extremely popular hike for it’s spectacular scenery, ease of access, and close proximity to the city. 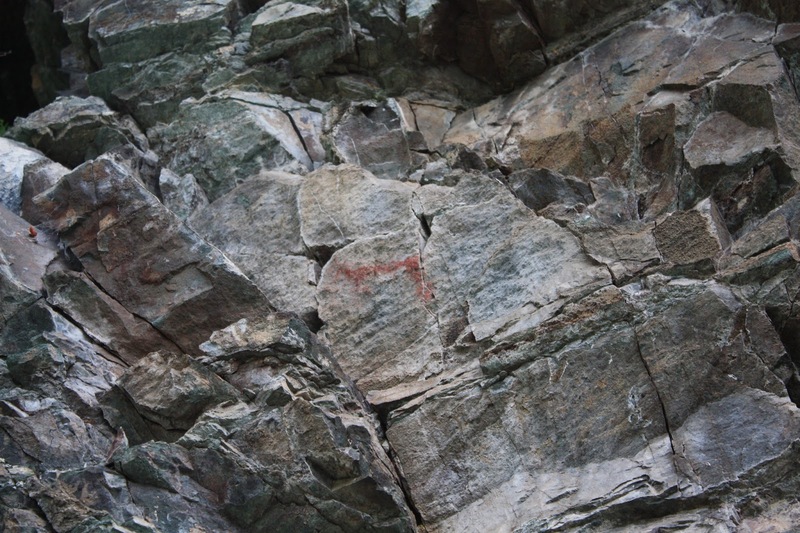 With a keen eye you may even find the pictographs that are located on the sleek canyon walls. These paintings are quite faint from being weathered by the elements and visitors repeatedly touching them. They are estimated to be between 500 and 1,300 years old and are suspected of being painted by the Hopi People who were visitors to the area from their home region in present-day Arizona. The artwork at this site depicts both human figures and animals and there is also one of the flute player, known as Kokopelli, which is a traditional Hopi symbol. 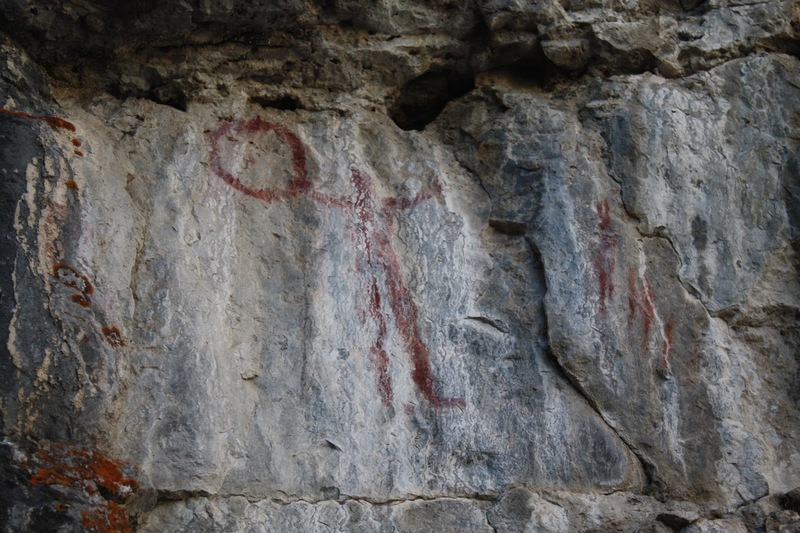 A little further west in Canmore Nordic Centre Provincial Park is another popular site for pictographs. It is believed that the artwork at Grassi Lakes was painted by the same people that created the artwork in Grotto Canyon. One of the clearest pictures at this site is of a human figure holding a large ring. It is believed that this figure represents a Medicine Man, which according to Hopi legend, is someone that can not only heal, but also see into the future. South of Calgary sits the Okotoks Erratic, an enormous quartzite block weighing almost 17,000 tonnes. Better known as the Big Rock, this giant boulder was left behind when the glacier that carried it melted away. The rock was used for thousands of years by the Blackfoot People as a landmark for crossing the Sheep River. There are many legends associated with the rock and it’s also covered in pictographs that are slowing fading away. According to Elders who have studied the artwork, one of the paintings depicts a journey, where the arrows represent the direction traveled and the circles are moons, which describe how long this particular journey would have lasted. The final site I’m going to talk about is Zephyr Creek in the Highwood region of Kananaskis Country. Although a little more difficult to access, as you have to ford the icy cold Highwood River then complete a 4.5km hike before reaching the site, the extra effort is worth it as the pictographs that are tucked away in Painted Valley are very well preserved. 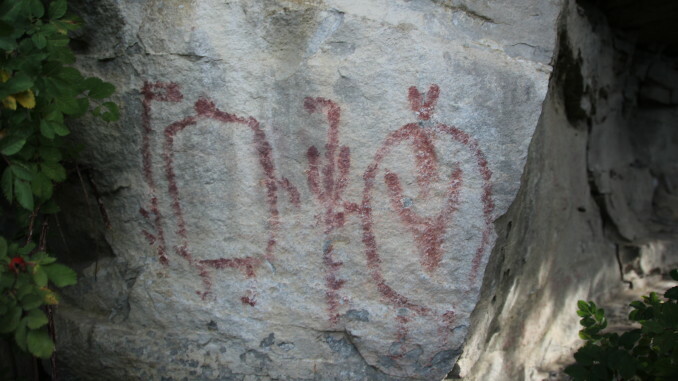 It is believed that these pictographs are over 300 years old and were painted by either the Kootenai or Salish People, both of whom lived on the edge of the prairies. Due to their isolated location a common theory dictates these pictographs are the result of a successful Vision Quest ceremony. The site was originally home to a large collection of artwork, but a rock slide in 1975 destroyed most of them. Today there are two very distinct paintings with a few more that have been eroded by time and weather. The above list is by no means exhaustive as there are dozens of rock art sites across the province. Unfortunately many of the sites are located on private land, making viewing almost impossible without special permission. If you find yourself at one of these culturally important sites please proceed using the utmost respect. Look only with your eyes and avoid the temptation to leave your own mark. The oils on our skin and present day graffiti destroys these priceless artifacts and we want to ensure the artwork is around for future generations to discover and enjoy. 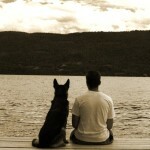 All of the photos and processed images that are featured in this story were taken by the author. For more photographs and information from all the rock art sites I have visited please visit this blog post. 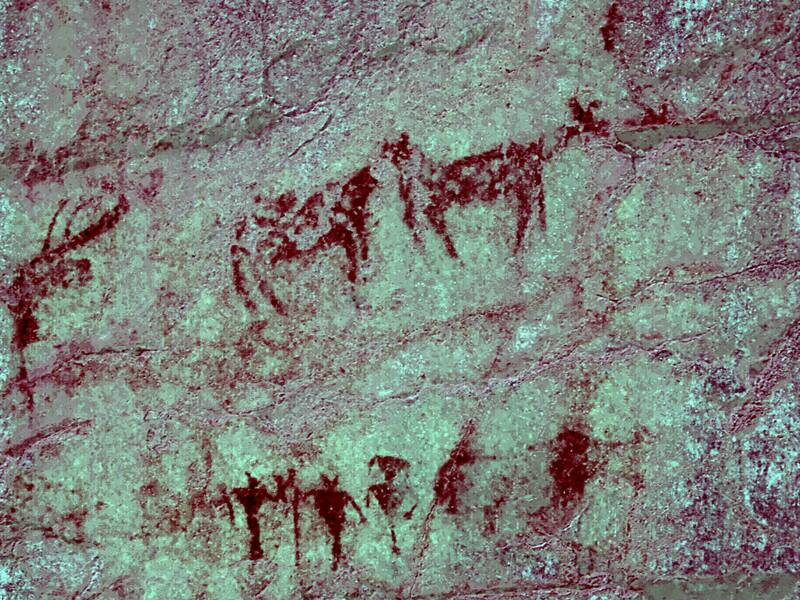 If you want additional information about rock art sites in Canada please visit the Bradshaw Foundation’s Canadian Archive.